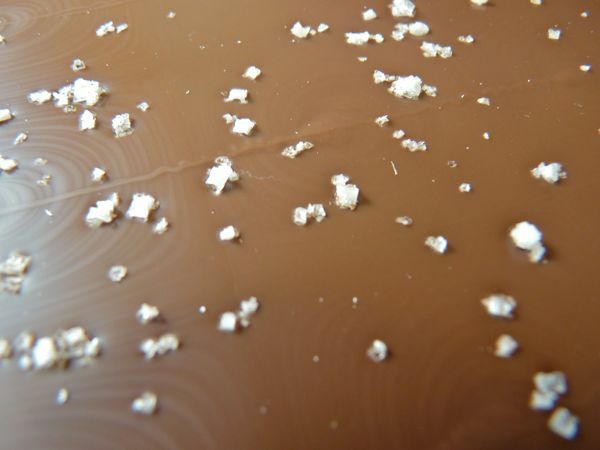 Today was Day #8 of Chocolate and Salt Week. 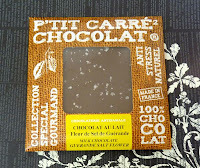 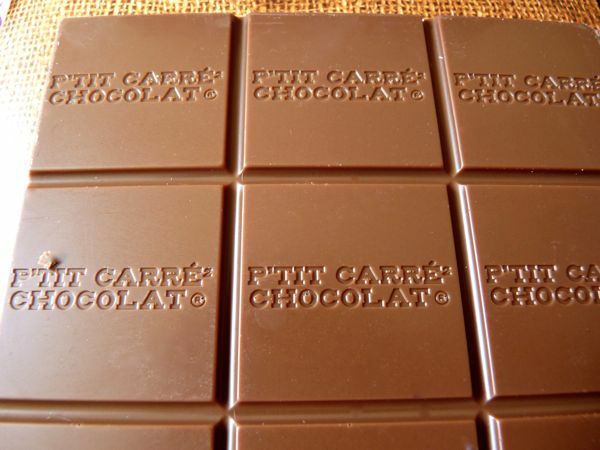 This Petits Carres au Chocolat, milk chocolate (33%) with Guerande sea salt* bar from France, was attractively packaged and designed -- with a wrapped in burlap look. 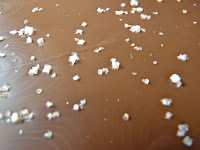 Salt was sprinkled on the back of the bar. 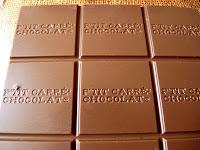 The chocolate itself was smooth, but the cacao flavor(s) were diluted a bit from the powdered milk, soy lecithin, vanilla and aroma ingredients. 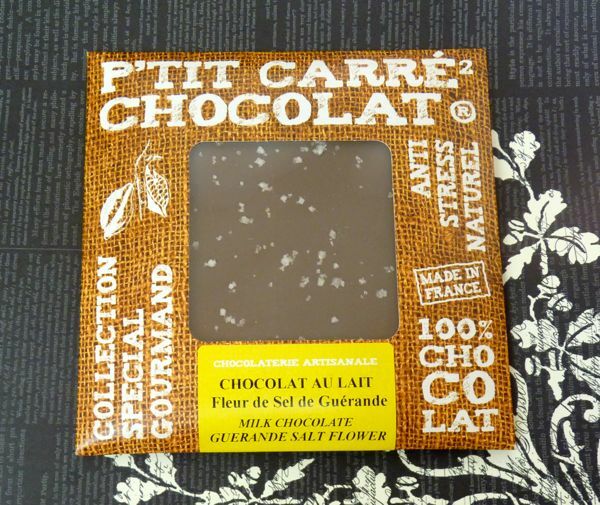 *Guerande sea salt comes from a salt marsh region in Western France (peninsula area on Atlantic coast), in a protected area, where salt has been collected centuries.